If you ever try surfing the Internet for a good way to talk like Darth Vader (Star War Movies) in real-time, you might have come to two most popular solutions. One is to use a hardware device and one is to use a voice changer software. 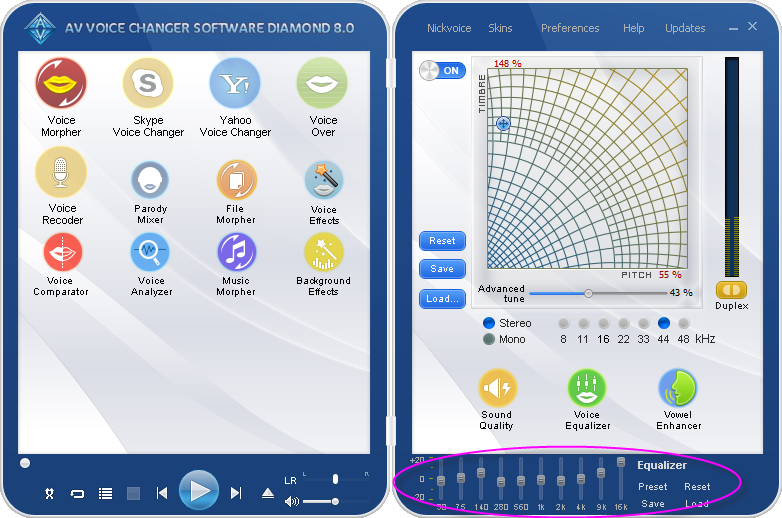 Within this page, we will guide you on how to use voice changer software - AV (Audio4fun) Voice Changer Software 8.0 Diamond to do that within 60 seconds. 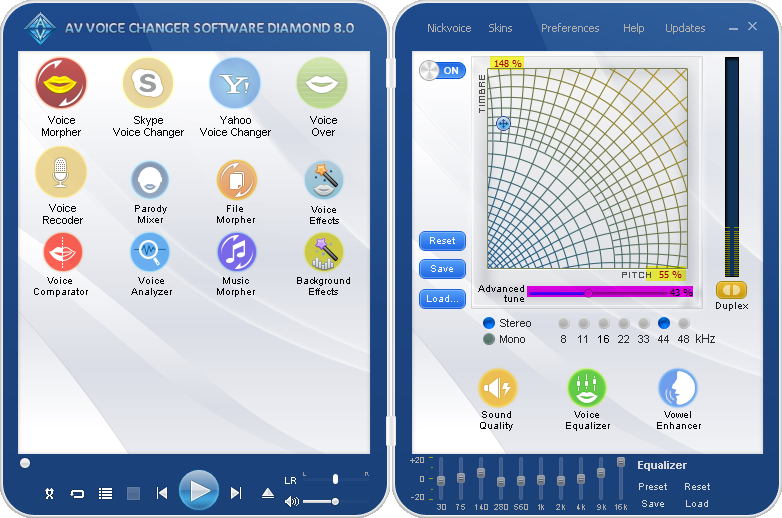 AV Voice Changer Software 8.0 Diamond is and advanced voice changer software which can be used for changing voice online in VoIP programs, instant messenger programs, doing home voice-over recording, etc. Voice Morpher feature of the program is the major feature for changing voice in real-time. Background Effects feature help to import Darth Vader breathing sound files extracted from Star War Movies. 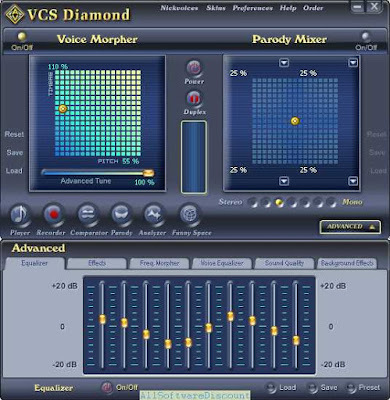 Run the Voice Changer 8.0 Diamond program. Make sure that the program status is ON (identify program's status by checking the ON/OFF button at top-left of the program's right-hand-side panel). Move the cursor (3) on the Pitch-Timbre graph (also called the Morpher graph) to change the voice. For me, Pitch = 55%, Timbre = 148 % and Advanced tune = 43% is good enough. Note: because each voice is characterized on pitch and timbre, it is recommended that you should try more or less to archive your most favorite pitch and timbre parameters to sound like Darth Vader most. Make change to each slider at a time and speak into the microphone while pre-listening to how you sound like in real-time. **There are no specific parameters for this part, however you can always apply the below settings by downloading the resulted nickvoice provided at the end of the page. There are various environment sound files ready-to-use in this section. However, for Darth Vader Background sound, we see that Darth Vader's breathing sound is really cool. You may download it below if you like it, too. 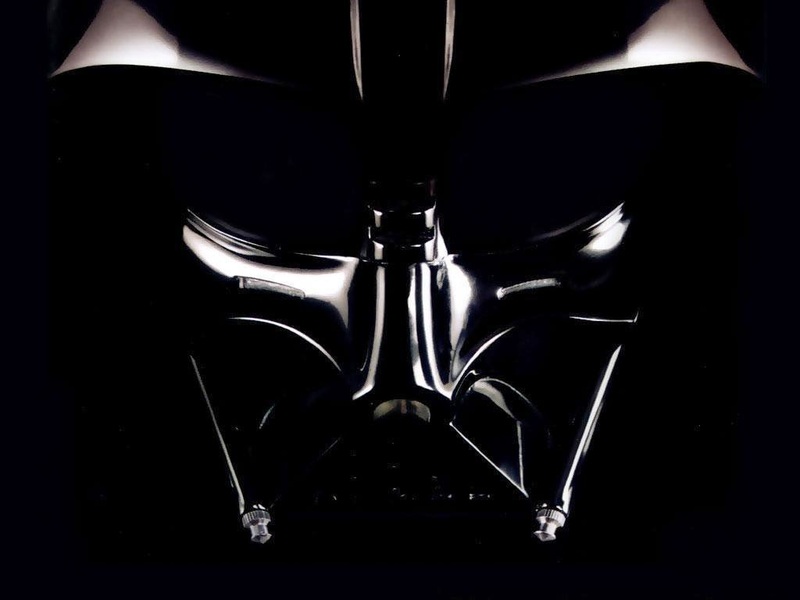 Download Darth Vader's breathing sound files. Click on Background Effects icon via the Left panel. 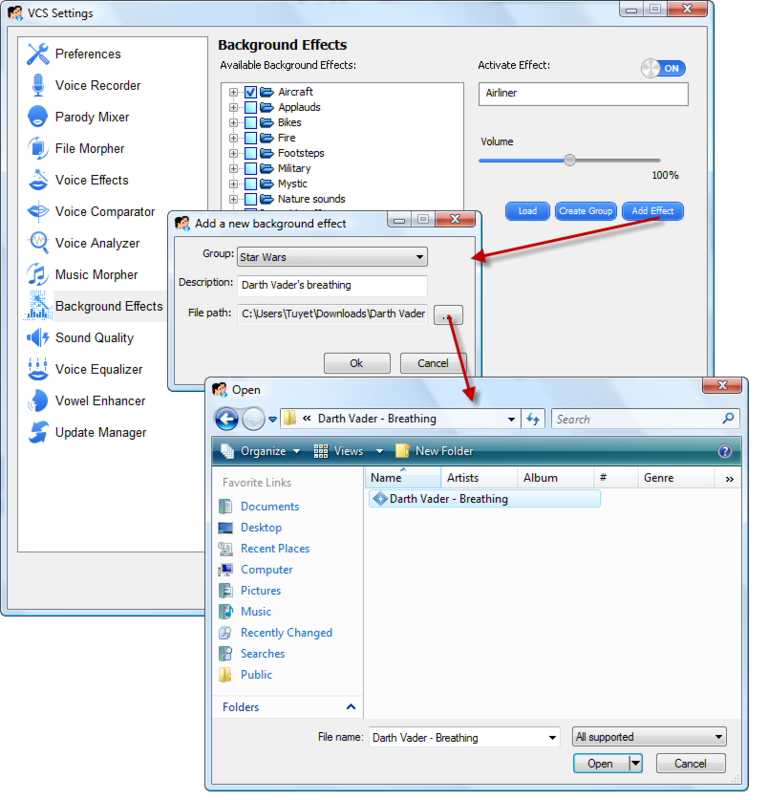 Click on Add Effects button and browse to downloaded sound file. Hit Open button to import. Click OK button to finish. Download the Darth Vader nickvoice from here. 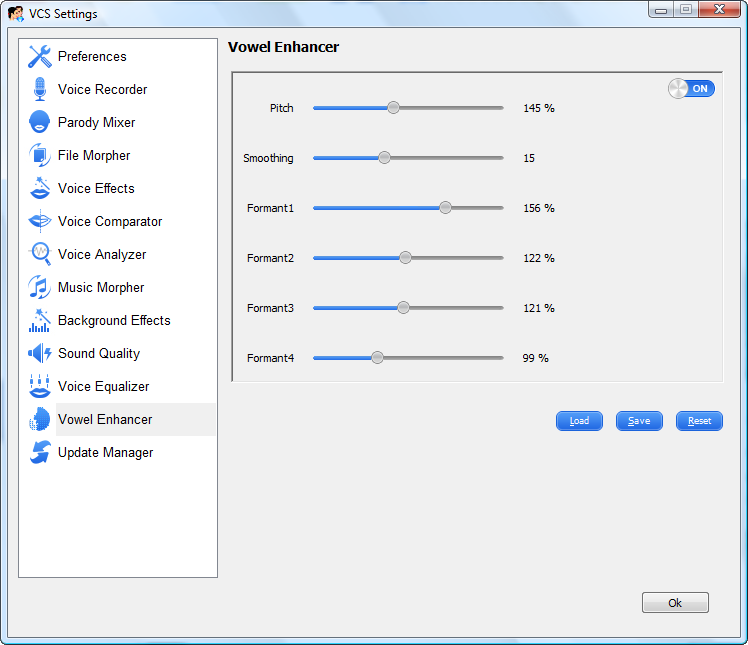 To learn how to use preset of voice changer software, click here.